Now that a jury has welded Joaquin Archivaldo Guzman Loera’s fate, so begins the tricky business of plotting which institution the convict will live out the rest of his days. For decades Guzman boondoggled law enforcement as a real-life Robin Hood (notching a regular listing as a billionaire on the Forbes list) whose palm-greasing helped him always be one step ahead. Catching a white whale like Guzman equaled a Super Bowl win for Maltz and many tireless others who chased the antihero for decades. 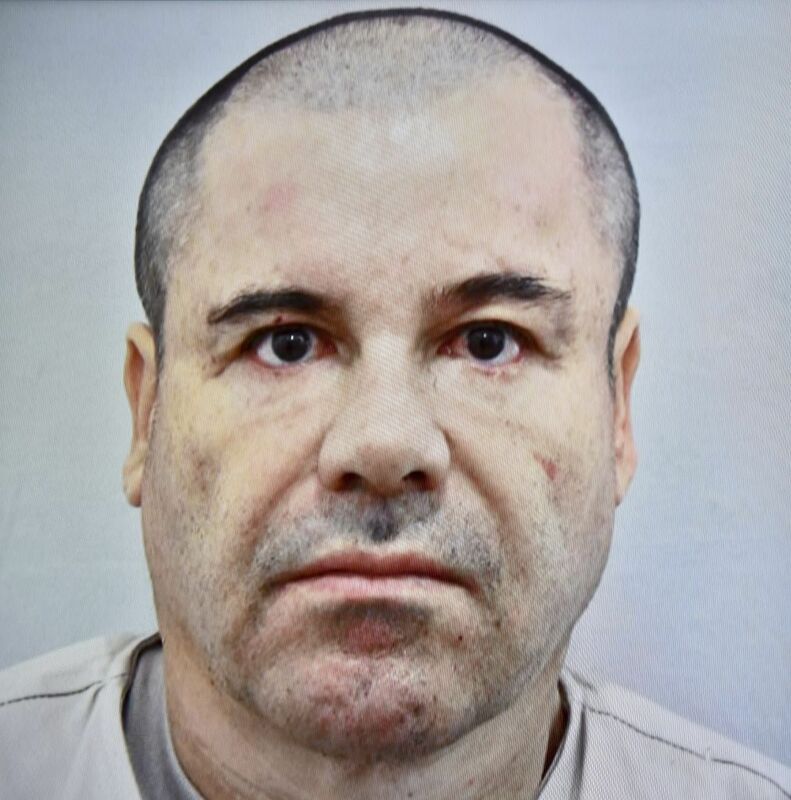 “For a guy doing this, it is as big as you can get to actually capture Chapo,” Maltz said of the kingpin’s second capture before Maltz retired from the DEA back in 2014. Part of the jubilation stemmed from bringing the man's celestial nature (with his ability to disappear again and again) down to size. 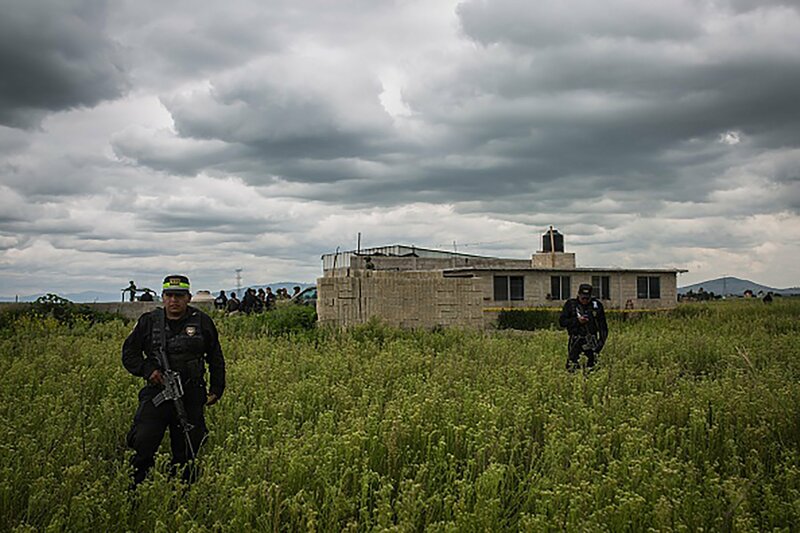 The almost phantom-like drug lord of the Sinaloa cartel, whom prosecutors tagged “the most notorious drug trafficker in the world,” broke free from not one, but two maximum-security Mexican prisons in 2001 and 2015, until he was hunted down and captured on January 8, 2016, in a bloody gun battle between his army of bodyguards and Mexican marines. Maltz believes much of the credit for the collar of collars goes to the coordination of agencies (Homeland Security Investigations [HSI], Customs and Border Patrol [CPB], DEA, FBI, U.S. Marshals Service and Mexico's military) who pounced on Guzman’s propensity for gourmet food and the married man’s affinity for women on the side. “He had gourmet chefs that would make his meals,” Maltz said. “He loved his tequila and loved his women. Last year the prisoner had his comeuppance when he lost his extradition fight and was flown to the States by federal agents. Since November, Guzman's been whisked back-and-forth over the NYPD- manned Brooklyn Bridge to sit for months in the extra-secure eighth-floor courtroom as Eastern District prosecutors pounded and stacked peaks of evidence and testimony (a good portion translated into Spanish through interpreters) that held all the trial-of-the-century trappings into jurors’ craniums. When Guzman is sentenced after being found guilty on all of 10 counts (most notably of continuing criminal enterprise—which carries a life term) he will be punching a ticket to some stateside fortress. 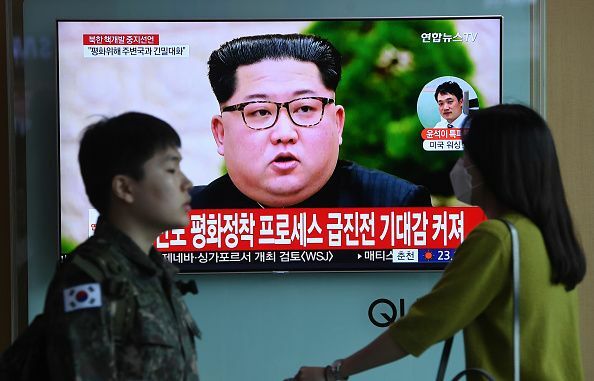 The options floated could be as far-fetched as Guzman being sent to Guantanamo Bay Naval Base (where enemy combatants have been detained after getting plucked off battlefields in the U.S. war on terror). Other options could be Leavenworth, in Kansas, or even Lewisburg, in Pennsylvania. But experts to whom Newsweek spoke prognosticate “El Chapo” Guzman’s final stop will likely be in “super max” at United States Penitentiary, Administrative Maximum Facility or ADX Florence, colloquially called the Alcatraz in the Rockies. “They’re going to send him to the most securely severe facility they can,” said L. Thomas Kucharski, a professor at John Jay College of Criminal Justice’s department of psychology and formerly chief psychiatrist with the Federal Bureau of Prisons (BOP). No doubt, deciding Guzman’s future address has been long in the works. That means the logistics of dealing with one of the most infamous inmates in modern times is being mapped out now. The transportation, the pre-sentencing review of the degree of danger Guzman poses all are being calculated in advance. “I don’t think they are waiting until sentencing,” she said. Bureau of Prison officials responded to Newsweek's requests (prior to the guilty verdict) to better understand how Guzman’s future residence would be chosen and how a high-power inmate like Guzman will be handled once he is in the system. "He will be treated as any other offender who is sentenced to a term of imprisonment," the BOP statement reads. "If convicted, the [U.S. Marshals Service] will request designation and forward all his documentation to the [Designation and Sentence Computation Center]. He will be classified and his sentence computation will be completed. Based on his classification, he will be placed in a bureau facility commensurate with his security and program needs." Before dropping from supermax status to medium-security a decade ago, U.S. Penitentiary, Marion in Illinois (built to replace Alcatraz) housed many boldfaced convicts such as Major League Baseball player Pete Rose, Philadelphia mafioso Nicodemo Domenic "Little Nicky" Scarfo, and Gambino Crime family boss "The Dapper Don" John Gotti, among others. David Layman was a guard at the prison for over two decades who remembered doling out free tobacco like candy to convicts, and the day when Gotti first "walked the hallway." "It was like Jesus arrived." Layman was also manning the prison when narco big Carlos Enrique Lehder Rivas, from the Medellin cartel, became a Marion prisoner in the early 1990s, after he was convicted (like El Chapo) of conspiracy and running a criminal enterprise and moving massive weight of cocaine. When the Columbian trafficker landed in the maximum wing of Marion in the middle of the night by landing in a helicopter replete with "special ops people with super fancy sniper rifles," Layman said. From the first, Lehder allegedly tried to make an escape bid by buying Layman and another guard off. "He had just gotten there and he told me he was going to be out by Christmas," he said. "He told me, ‘I'll give you $3 million right now if you help me get out.’"
There wasn't enough money to make him turn. "Even if you gave me $10 million—that's not enough," he said, detailing how much training the correction officers participated in and countermeasures they ran through; including prison breaks. "Because I've done this my whole life, and I take great pride in what I do." Also at hand is the security and safety of everyone involved, from the guards to Guzman himself. In terms of location, Levenson, a former federal prosecutor, favors Florence ADX because it is “hard to get to” (located around an hour south of Colorado Springs). Even if by some miracle a jailbreaking mission were attempted, the complex's imposing mountain range and desolation make it tough for a clean getaway. The federal penitentiary houses 402 all-male inmates and many notorious criminals in their own right. 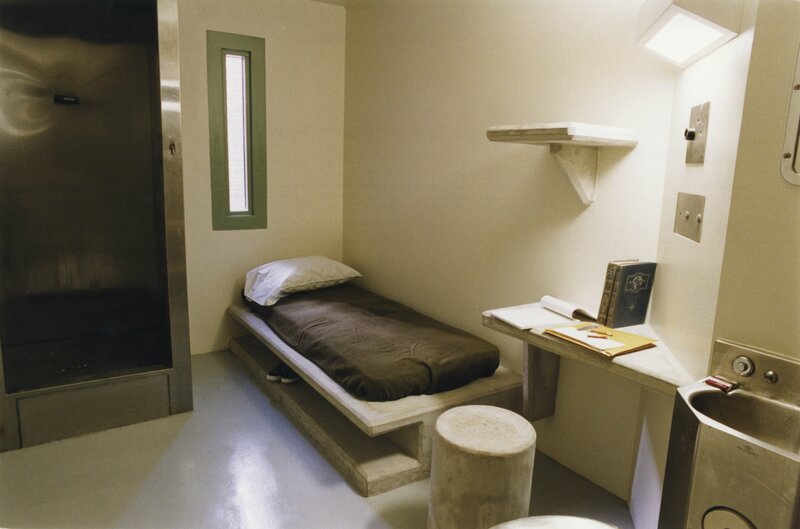 ADX Florence is considered the highest-security penitentiary in the country, housing in its poured concrete, soundproof cells Unabomber Ted Kaczynski, 1996 Olympics bomber Eric Rudolph, Oklahoma City bomber Terry Nichols, shoe bomber Richard Reid and underwear bomber Umar Farouk Abdulmutallab. 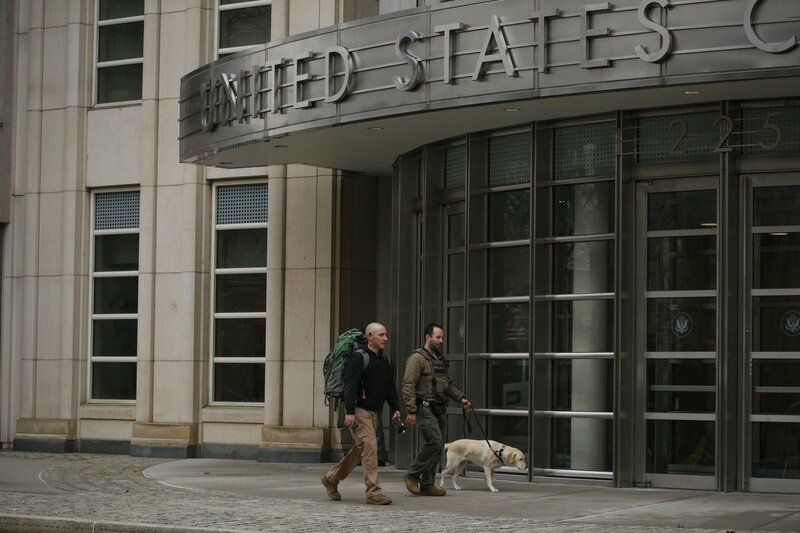 September 11th conspirator Zacarias Moussaoui is serving out multiple life sentences at ADX Florence, and former F.B.I. agent turned Russian spy Robert Hanssen, at 74 years old, also lives there. Ex-Bonanno mob boss Vincent “Vinny Gorgeous” Basciano was initially placed at ADX Florence before transferring to United States Penitentiary, Big Sandy in Kentucky, prison records show. As for Guantanamo (or Gitmo for short), Levenson doesn’t consider it as a viable option, because it is a military installation rather than a prison. Plus, the addition of El Chapo ensconced with enemy combatants wouldn't bid well. “I don’t think it’s a great idea to put someone like El Chapo in with alleged terrorists,” she argued. 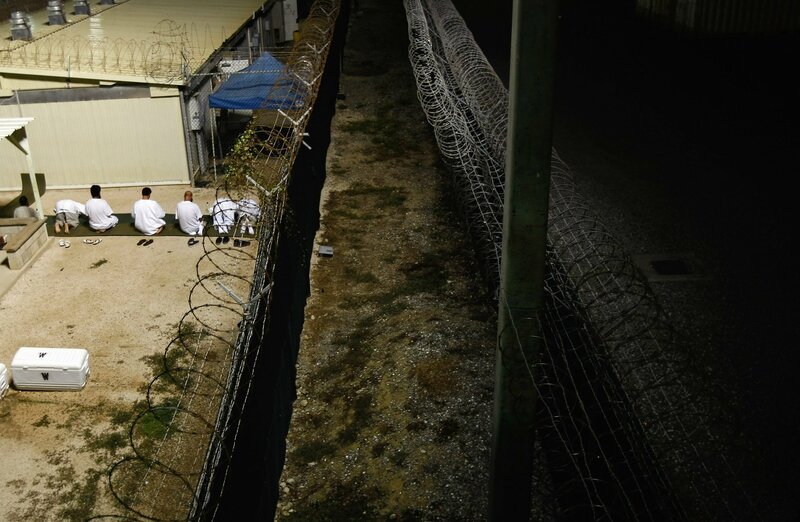 The detention center on the military island has also become the subject of politicians' plans to possibly shutter at some point, anyway. And if Guzman has to be moved around for some reason, doing so from the mainland “is easier,” Levenson added. When he is finally sentenced and sent to prison somewhere, the mere fact Guzman will be staying put for the rest of his life in a U.S.-based cell will help neutralize everything the man stands for, Maltz said. “He’s a transnational criminal terrorist who got arrested pursuant to the rule of law and needs to be held accountable for all his actions,” he said. “And putting him in a top security prison in America will do just that." Guzman presents a unique situation since few have warranted as much name recognition in narco-trafficking world since perhaps Manuel Noriega (the former Panamanian dictator surrendered after a 1989 U.S. military invasion and served hard time in the Federal Detention Center in Miami before he was extradited to France and returned back to Panama where he succumbed to brain cancer in 2017). It's Guzman's limitless reach that must be walled off. Few believe much will be left to chance when Guzman departs the Metropolitan Correctional Center, or MCC, where he’s been quartered in a single cell within a maximum security section floor. He may have been free, but the manhunt never waned. 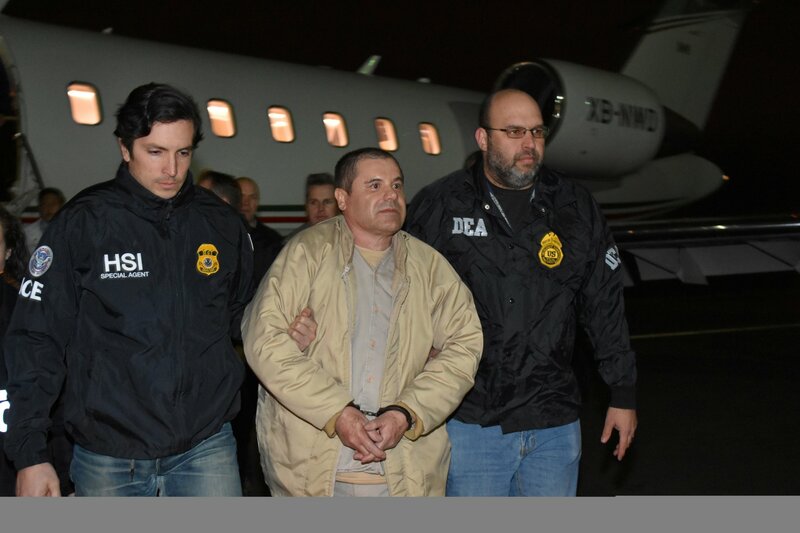 The indictment paints a bleak picture of Guzman buying guarantees of breaking out with the billions of dollars he imported back to Mexico through the international trafficking enterprise he masterminded. “A cornerstone of his strategy was the corruption of officials at every level of local, municipal, state, national and foreign government, who were paid cash bribes to ensure that he and the Sinaloa cartel were free to bring in tonnage quantities of cocaine from South American and move it freely to the United States,” according to the indictment. Specifically, in his pretrial detention memo, prosecutors accused him of using "large-scale corruption to control key government officials to protect his criminal activity and that of the Sinaloa cartel." After a dogged pursuit, Guzman was captured again on February 22, 2014. This time it was at a flat in the bucolic Mazatlan, in Sinaloa, Mexico. But Guzman was ready. A year of planning his escape from a raid paid off. On July 11, 2015, Guzman gave guards at the Altiplano Prison the slip prancing along a mile-long tunnel that ended at a construction site where he would become a fugitive once more. “I thought, ‘No way this guy is going to escape because he was locked up in Mexico’s highest security prison and there was so much publicity,’” Maltz recalled thinking at the time. Once in custody, Guzman “vigorously fought his extradition.... [He] fought each and every single proceeding in Mexico for his extradition..." to the U.S. “up until the moment that his extradition was ordered,” according to pretrial detention memorandum opposing his prospect for bail. Now that Guzman has been found guilty, the process turns to penance. Levenson said the fair trial and incarceration of Guzman on U.S. soil “sends a message” that the outlaw isn’t going to win, nor is he better than the country’s prison system. “El Chapo, you might be a legend, but you're going to be a legend in your one mind once we have custody of you,” she said. When Guzman likely lands at Florence, curating staff will be on the top of to-dos. Sentencing can be short or long; but Kucharski said in Guzman’s case nobody is going to let it drag on. "The government is going to get it done swiftly,” he said. Once he becomes a prisoner—possibly in a maximum prison like ADX Florence, Guzman will become just another prisoner. "He's nothing special," said the retired Marion Penitentiary guard Layman. "When he first arrives, he comes into receiving and discharge." That's where El Chapo will be interviewed and express to the officials there about any "threats he perceives." If they find the claims credible Layman said Guzman will be “segregated from the population." Unless Guzman "earns" a place in what is called a control unit, he will remain with most of the population. "You earn access [to the control unit] by attempting to escape, killing a guard or murdering another inmate," he said. The control unit is far more invasive. You are shackled from your torso, wrists and ankles and strip-searched each time you leave or arrive at your cell. "If El Chapo is caught in an escape attempt he could end up there," Layman warned. The guilty verdict carries a tsunami-like ripple felt far beyond Brooklyn or even the Western Hemisphere. That's because convicting Sinaloa's Guzman proves that a powerful man reigning over a decades-long empire trafficking marijuana, cocaine, heroin, and methamphetamine can fall. “I call it the powerful force for good,” Maltz said with pride. What kingpins like Guzman fear the most is being unable to stop the wheels of justice. Especially when they involve being extradited and then imprisoned in the U.S.
And perhaps it also shows that anyone, even a billionaire kingpin trafficker, is touchable.